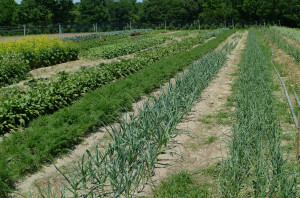 This page links to production information and resources for farmers producing for local markets as well as home and community gardeners and food producers. Beginning Farmers / New Producers – includes links to resources on training, leadership programs, and the business of farming, programs specific to women in agriculture, conferences for beginning farmers and more. Planning the Future of Your Farm: A Workbook Supporting Farm Transfer Decisions. Branan, Andrew (editor). 2017 ed. This workbook focuses on educating farmers and rural landowners on the tools and issues related to the transfer of farm operations and land with the goal of keeping both in production. Food Safety for Produce Growers The N.C. Fresh Produce Safety Portal has information targeted specifically towards farmers/growers about the Food Safety Modernization Act (FSMA) produce safety rule, GAPs, and upcoming trainings (both GAP and Produce Safety Rule trainings). Information provided includes farmers market resources, production considerations, worker health and safety, water safety and testing, other reference materials, and more. Includes Extenstion publications on cooling and handling of various commodities, information on various cooling technologies, and links to other postharvest publications. Small Flock Management Production Resources including breeds, health, brooding, problems and more. Workshops/Conferences – NC State University Poultry Extension offers annual workshops for small flock producers, including an annual egg grading school. • Time for Collard Greens!